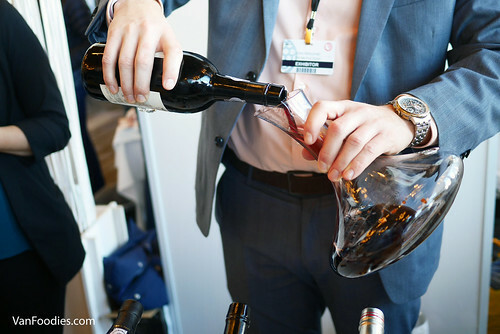 This year, Vancouver International Wine Festival celebrated its 50th anniversary with feature countries Spain and Portugal. Just like previous years, I drank my way through the big tasting room. But this year my focus was on the Ports. Port Wine (“Vinho do Porto” in Portuguese) is a Portuguese fortified wine produced exclusively in the Douro Valley in Portugal. It is a sweet, red wine, often served as a dessert wine. Although you may find fortified wines outside Portugal (e.g. Vista D’oro makes an awesome walnut port-style wine), only the product from Portugal may be labelled as Port or Porto. Ruby Port is the most extensively produced type. It’s usually stored in stainless steel tanks to prevent oxidation and preserve its bright red colour and full-bodied fruitiness. Tawny Ports are aged in wooden barrels, exposing them to gradual oxidation and evaporation. They turn into a golden-brown colour and the oxidation gives the wine nutty, caramel, and/or prune, raisin notes. If there isn’t any indication of age, it’s just a generalization that the wine has spent time in wooden barrels. Late Bottled Vintage (often referred to simply as LBV) is typically bottled between four and six years after the vintage, with similar quality like a Vintage Port. If the LBV is filtered, it’s not meant to be aged. Vintage Port is made entirely from grapes of the same vintage year. They may be aged in barrels for 2-3 years before bottling. You can drink it right away but it’s meant to be cellared for decades as it improves with age.